Team Vitality are out of the 2018 League of Legends World Championship, but they didn't leave the competition without a fight. Had they beaten Cloud9 at least once, they would have proceeded to the quarterfinals. The experience may have left a bitter taste in their mouths, but they — and Western fans — were proud of their achievement. 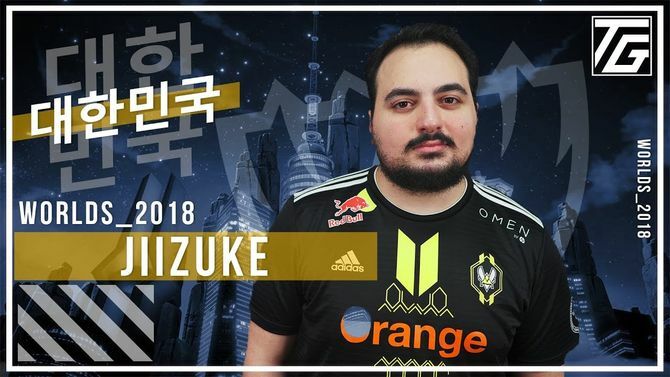 The team's mid laner, Daniele "Jiizuke" di Mauro, spoke to Travis Gafford about his experience at the 2018 LoL Worlds and how it rates. At the same time, head coach Jakob "YamatoCannon" Mebdi spoke to Inven Global about the significance of Team Vitality's feat — both to the fans and to himself. We came to these Worlds as underdogs, pretty much. I wanted to leave my mark no matter what, singularly and as a team. I think we did both ways: I think I played well 90% of the games and my team also played really well. We showed up, and we left our mark in the end. It’s been crazy; I barely know what happened in the other groups. What happened today… Well, history was made. It was a day that would be remembered for long. This was the first Worlds where the western teams started to not copy the better regions. I feel every EU team had the right entity. If you only chase Korea and China, you’re going to be a downgrade version of them. My role for the entire season was to keep my boys confident. When I think of what happened today, it was a massive roller coaster. This year was a massive success for me, not in the sense of coaching but also in the sense of… I see them as my closest friends. I see them as my brothers. I love them and it fills me with warmth when thinking of how they grew and knowing that this is just the beginning for them. Regardless of what the next year would bring, I'm pretty sure for all of them, they’ll have a long, long, long journey ahead of them with a lot of success. This group… I’m so grateful for this group. I have so many memories. I’ve also learned so much about myself. I can’t thank this group enough for all that I’ve received. Team Vitality may be out, but G2 Esports and Fnatic have a shot at qualifying to the 2018 League of Legends World Championship quarterfinals. You can watch G2's attempt at qualifying (at the time of writing) live on the Worlds hub!